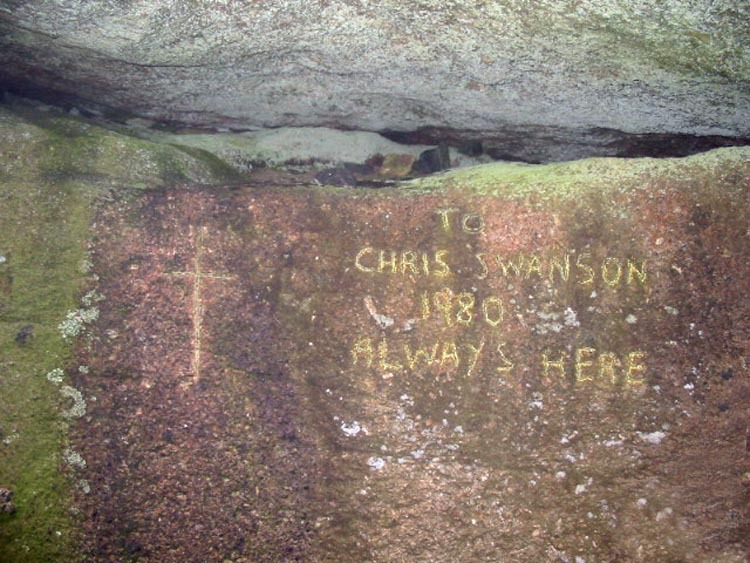 Location: Inscribed on the South Eastern corner of Little Mis Tor, about 5 feet above ground level. Map location: Click here to view map. 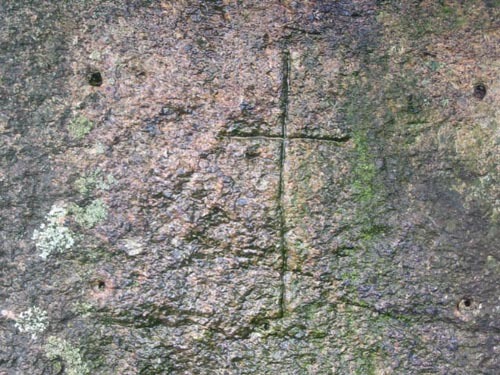 From the screw holes positioned each side of the cross, it looks as though a plaque had been fixed to the rock at some time in the past. However, the plaque has now been removed, to be replaced with the incised cross and inscription.